A marriage of beauty and function! 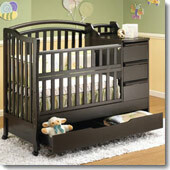 Orbelle – the makers of beautiful, functional and affordable baby cribs. Their specialty – making sure your first purchase is your last… Orbelle cribs are designed to grow with your child from baby to toddler and beyond.